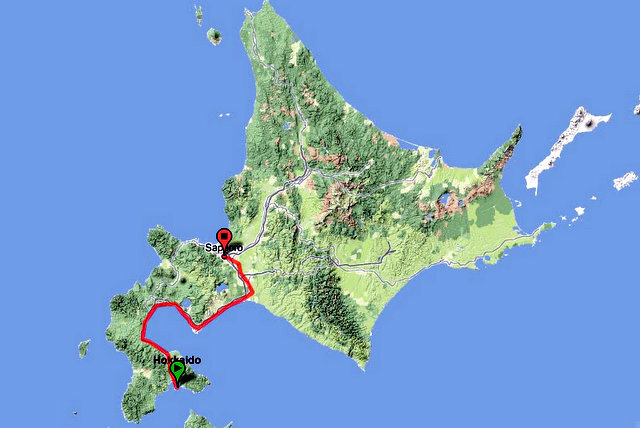 Our train journey from Hakodate to Sapporo, capital of Hokkaido, is about 320km long. Evening arrival in Sapporo from Hakodate, and we promptly have dinner at an eatery near the JR Sapporo Station. Followed by a slippery walk on ice to the famed Odori Park to witness the spectacular Sapporo White Illumination. 07 December 2011.